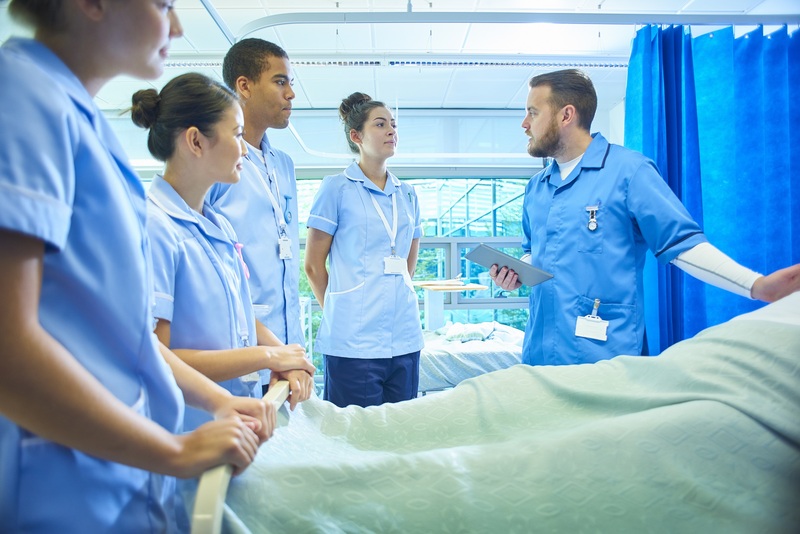 The University Hospitals of Leicester NHS Trust are looking for enthusiastic Band 5 nurses to work in Medicine for Older People across two separate city hospital sites. Sue Burton, Head of Nursing in Medicine for Older People at Leicester’s Hospitals has been working in nursing for over 20 years and is responsible for 17 Speciality Medicine Wards and a number of specialist nurses and outpatient areas. “We are looking for nurses passionate about looking after our older patients. They need to be motivated and great communicators. Working with older people is a very rewarding area of nursing and we believe Leicester is a fantastic place to start a career as we can give nurses the experience of treating a range of different conditions and the opportunity to learn many different skills. It will allow them to get a feel for what they enjoy and how they wish to progress their career. Sue highlights that Leicester’s Hospitals have good education links with local universities and provide great training and education support to enable nurses to progress their careers, Sue has completed a Batchelor of Science degree, a post-graduate diploma and a Masters degree while working at the Trust. Another attraction of the role is that all nursing staff working on medical wards receive a 7% premium on top of their salary. Leicester’s Hospitals are part of a major new recruitment campaign – called Y/Our Future – working in partnership with Leicestershire Partnership NHS Trust, LOROS Hospice, Rutland County Council and Leicester City Council to attract greater numbers of health and social care professionals to live and work in Leicestershire and Rutland. Justine Wood is a Ward Sister in Medicine for Older People at the Leicester Royal Infirmary. She began her career in the NHS 15 years ago as a domestic assistant and soon realised her passion lay in nursing. Justine trained for her nursing qualifications through the Trust and was keen to be a surgical nurse until her last placement in medicine at the Royal Infirmary changed her mind. “I enjoy the fast pace and exciting cases I work on in Medicine and I find it very rewarding working with older people. To send a recovered patient back home to their wife of 60 years who then continues to lead a full and active life is extremely fulfilling. It is hard work, but very satisfying to finish a shift and know you’ve made a difference to someone’s life. “I’m proud to work with a wonderful team and we receive lots of praise and lovely feedback from appreciative patients and their families, which spurs me on. The staff at the Trust are very supportive and there are many learning opportunities for all nurses of different stages – I’ve gained a vast amount of experience and I am currently working towards my degree.